Autonics flexible coupling ERB Series features strong resistance against distortion as it is made of super-high strength aluminum alloy (AL 7075-T6), and it realizes high corrosion resistance through applying alumite surface treatment. 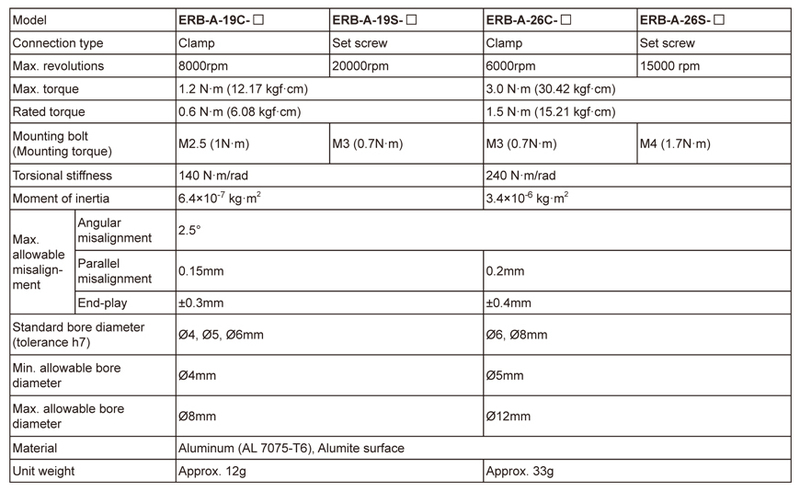 In addition, ERB series supports two different connection types – Clamp type and Set screw type – so that it can deliver more accurate revolution driving power and protect revolving objects from backlash. Autonics is expanding their line-up of incremental rotary encoders with the new miniature encoders, the E18S Series. The small size and light weight adds more flexibility and allows for easy installation in tight spaces. Also, the small moment of inertia of the shaft (under 0.5g•cm²) minimizes the effect on the rotation of applied equipment. These features make the E18S Series well-suited for ATMs, bill counters, copy machines and a diverse range of office machines. 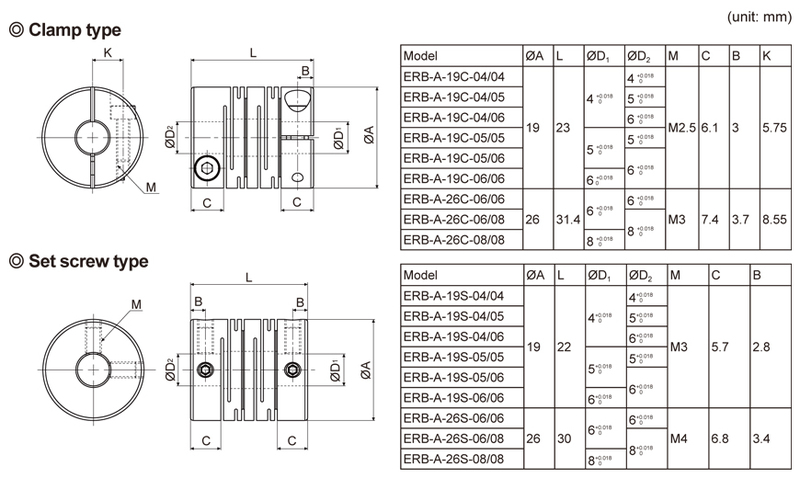 Incremental manual handle type rotary encoders ENHP Series is designed for manual pulse input required applications such as Milling machines and NC lathe. Also, The Series implements various switch functions including emergency stop switch and realize superior portability in order to improve user’s convenience. In addition, ENHP Series newly adds Totem Pole output type for more diverse applications and working environments. Diameter ø50mm shaft type incremental rotary encoder E50S Series newly adds Line Driver output model supporting power voltage 12- 24VDC range to make more diverse user selections. E50S Series realizes cost effective solutions that can be applied to various types of tooling machines, machine molding, packing machines and general industrial machinery in order to provide greater usefulness and convenience to customers. Diameter ø40mm shaft type/hollow type/built-in type incremental rotary encoder E40 Series newly adds Line Driver output supporting power voltage 12-24VDC range to allow more diverse user applications. Moreover, the series could be ideal solutions for narrow space by minimizing space limit. Small moment of inertia is another feature of the series to optimize user convenience. E20 series incremental rotary encoders with micro size & super lightweight, enables you to maximize space effectiveness. They are ideal solutions for narrow space and small & high precision facilities by minimizing shaft’s moment of inertia. Hollow shaft type Incremental Rotary Encoder E60H Series realizes space saving solution with inner shaft diameter of Ø20mm and allows a wide variety of user applications to measure angle, position, number of revolution, speed, acceleration and distance. The Ø58mm absolute type rotary encoders EP58 Series offer economical price and provide high reliability with precise detection. In addition, the front nut mounting style design allows more convenient setting. Furthermore, a wide variety of product types fully satisfy your needs.